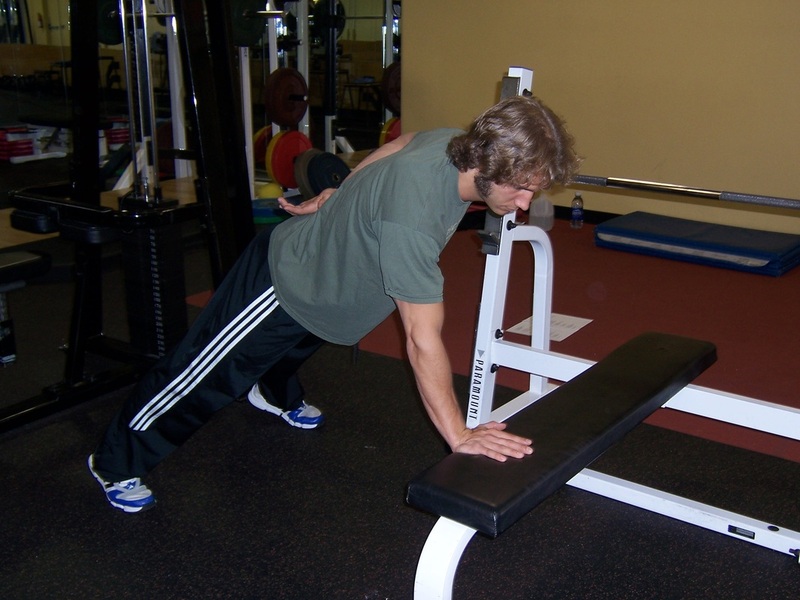 Dallas Personal Trainer - An exercise that you will rarely (if ever) see a Dallas Personal Trainer having his/her client perform due to it being a high level exercise who's purpose is solely to take the training client next step and master the full one-arm pushup. Get in a pushup position with only one hand on a bench and spread your legs a couple of feet apart, rather than keeping them together. 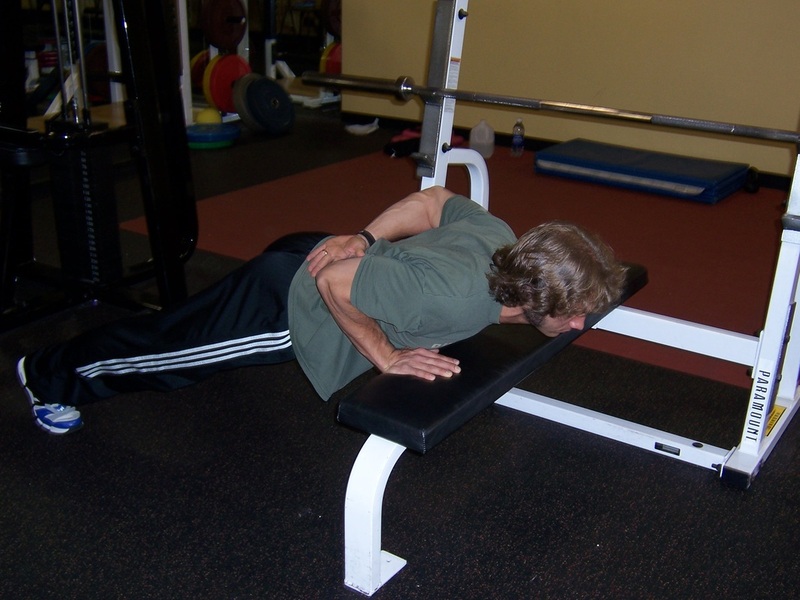 Lower your chest to the bench and press yourself back up to the starting position, keeping your armpit extremely tight and your body as straight as a board. Keep your abdominal muscles braced extremely tightly throughout the exercise and make sure that you do not stick your rear end in the air.